News PHANTEKS Glacier C350ip & C350ap CPU Watercoolers Impress with their Elegant Design! PHANTEKS Glacier C350ip & C350ap CPU Watercoolers Impress with their Elegant Design! Update 3 – PHANTEKS Glacier C350ip & C350ap CPU watercoolers impress with their elegant simplicity! Available at Overclockers!! Update 2 – The Phanteks Glacier watercooler now also for the GTX 1080 Ti graphics cards from MSI & Gigabyte! Available at Overclockers!! Update 1 – Phanteks C350a CPU watercooler now also for AMD processors. Order now at Overclockers ! News – Phanteks Glacier high-end watercooler with RGB-LED lighting for CPUs and GPUs Available at Overclockers!. Update 3: PHANTEKS Glacier C350ip & C350ap CPU watercoolers impress with their elegant design! 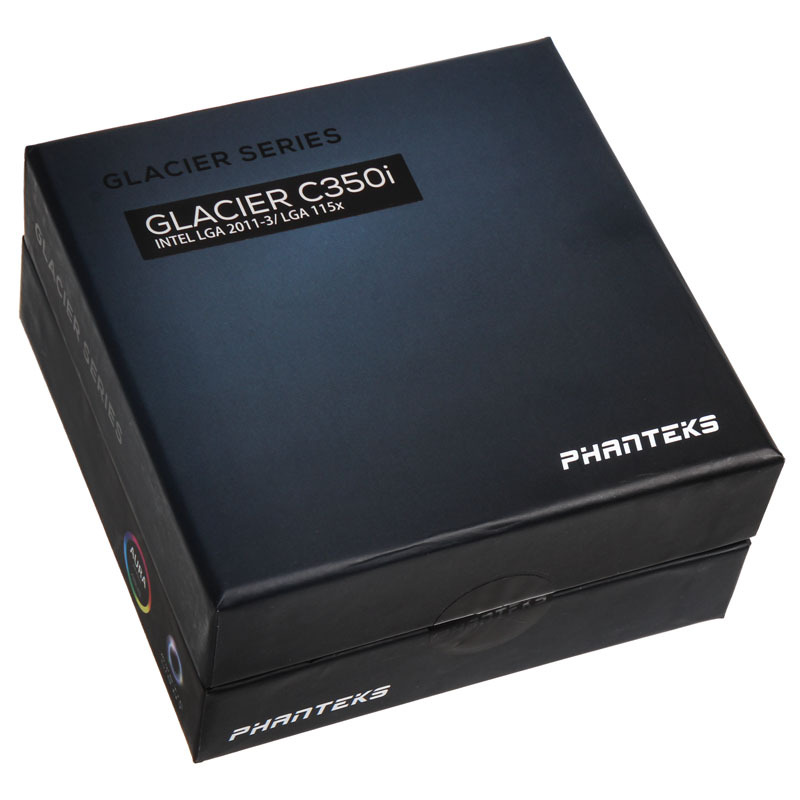 The range of popular Glacier CPU watercoolers from Phanteks has just received a new member. In addition to the already available acrylic RGB watercoolers, Phanteks is now also offering some streamlined versions with a black acetal top cover an. The impressive cooling performance offered by these renowned blocks of course remains unchanged. The Glacier C350ip CPU watercooler is compatible with Intel processors utilising socket LGA 2011(-v3), 2066 and 115x. The respective AMD version, the Glacier C350ap, also supports the current AM4 socket , as well as the older AM2(+), AM3(+), FM1 and FM2(+) sockets. Update 2: Phanteks Glacier Watercoolers – Now for GTX 1080 Ti Graphics Cards from MSI & Gigabyte! The endless stream of new graphics cards to the market all require precision customisation and adjustments as well as optimised cooling and heatsinks for their respective generation. Phanteks has now introduced the requisite high-end watercoolers for the MSI GeForce GTX 1080 Ti Gaming and die Gigabyte GeForce GTX 1080 Ti Aorus series. The stylish coolers also feature a nickel-plated copper base plate and a cover made of either black or chrome-plated aluminium and acrylic. Additionally, MSI’s Mystic Light and Gigabyte’s RGB Fusion are compatible with the respective Phanteks Glacier coolers. Update 1: Phanteks C350a CPU watercoolers now also available for AMD! After Phanteks’ Glacier GPU- and C350i CPU watercoolers successfully arrived on the market, along with a wide selection of connectors, the newcomers to the watercooling arena also introduced the stylish and powerful C350a watercooler which is compatible with all current AMD sockets. This cooler retains the ingenious design and high cooling performance while additionally offering integrated RGB-LEDs that are compatible with ASUS Aura, Gigabyte RGB Fusion and MSI Mystic Light systems. Phanteks are known first and foremost for their premium high-end PC cases, characterised by their superb support for the installation of custom water cooling. Now Phanteks is diving head first into the world of liquid cooling. 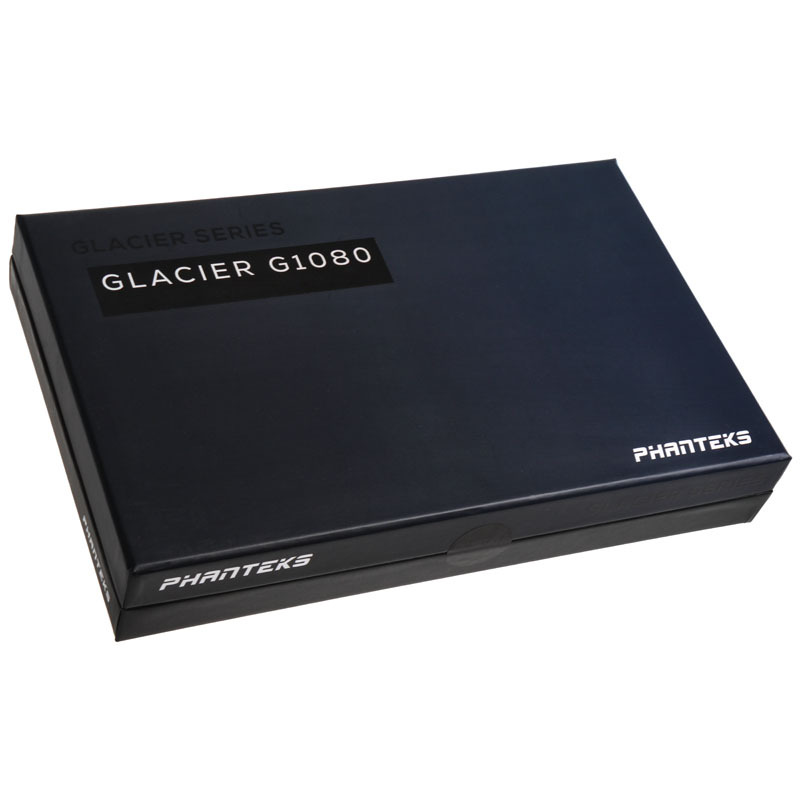 The Glacier Series represents Phanteks' introduction of a whole ecosystem of products designed specifically for CPU and GPU cooling. Like all of Phanteks' products the water coolers and fittings are constructed with an eye to premium design and are constructed exclusively from high quality materials. Designed for gamers as well as for overclockers and hardware enthusiasts, Glacier coolers positively glow with their stylish RGB-LED lighting that comes in every colour of the rainbow and supports MSI Mystic Light- and ASUS Aura synchronisation. Expanding the coordinated look of the Glacier G1080 GPU water cooler and the C350i CPU water cooler to the rest of the custom water cooling setup has never been easier now that the perfect fitting are also on sale now! The Glacier G1080 full-block water coolers offered by the Netherlands-based company represent the component of choice in respect to multiple tailor-made monoblocks for graphics cards like the reference design NVIDIA GeForce GTX 1080 / 1070 Founders Edition as well as those with custom base plates such as those offered by partner cards in the series e.g. MSI Gaming, ASUS Strix, EVGA FTW and Gigabyte G1. 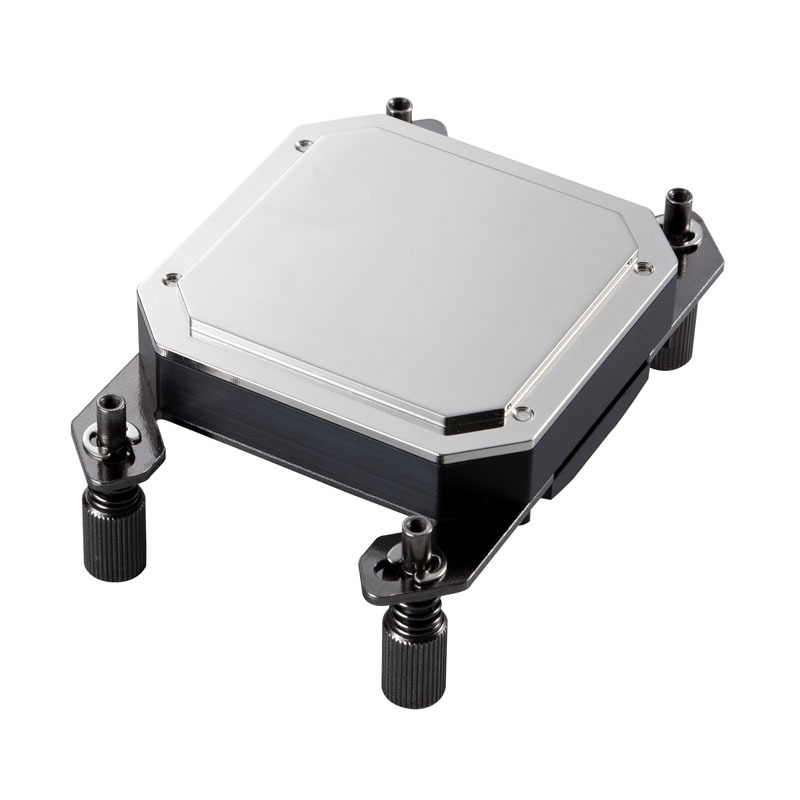 The particularly powerful Glacier G1080 cooling block comes with a nickel-plated copper base plate as well as a cover in optional black or chrome-plated aluminium and acrylic glass. These GPU coolers are further supplemented by means of tailor-made CPU water coolers. The Glacier C350i CPU cooler delivers extreme cooling performance and is compatible with Intel processors on LGA 2011(-V3) socket motherboards and 115x. A nickel-plated copper base plate forms the foundation of the cooler and the cover consists of either anodised matt black aluminium, or chrome-plated aluminium (bracket) as well as polished acrylic glass (cover). An arsenal of water cooling fittings rounds out Phanteks product portfolio to ensure maximum compatibility with Glacier coolers as well as hassle-free installation. The G1/4" fittings consist of black or chrome-plated brass with ring caps from a similarly chrome-plated or matt black anodised aluminium. The high-flow fittings are designed for soft tubes or hard-tubing and are also equipped with Viton O-rings, guaranteeing the highest possible reliability and lifespan. 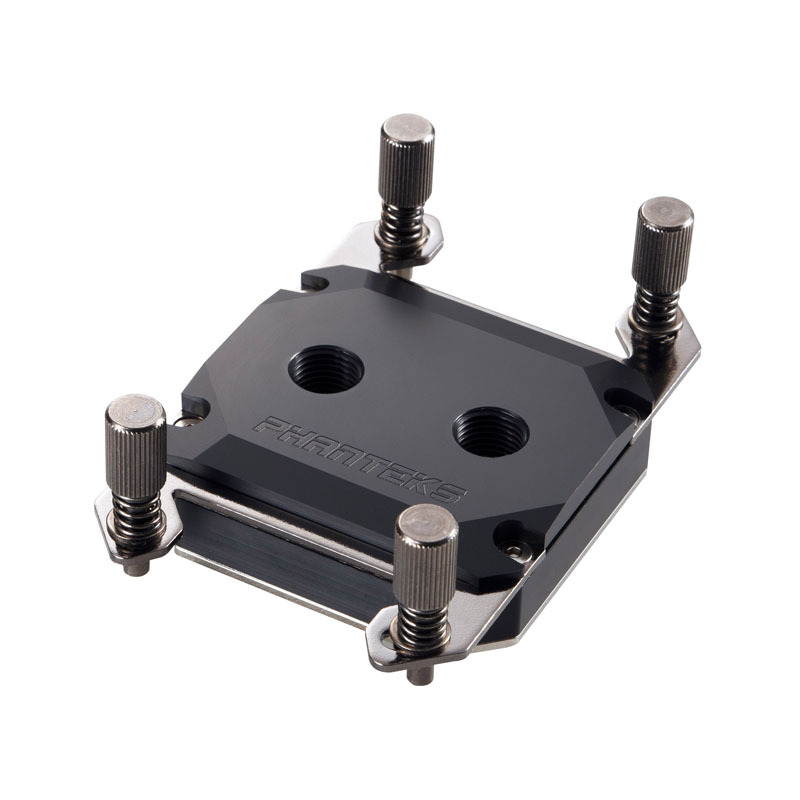 Brackets for pumps and reservoirs come bundled with Phanteks cases or are available as optional accessories.